This is a reminder that Sunday 12 May is George Carlin’s birthday! If you care about your freedom of speech as a comedian, then celebrate this day by doing a reading of “The Seven Words You Can Never Say on Television” routine at a comedy club, cafe, or even the steps of parliament/congress. Here is the transcript from the Supreme Court case of FCC v. Pacifica Foundation. It is completely free of copyright. 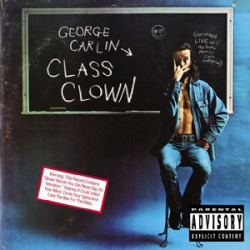 Though, I would suggest using the version from the album Class Clown for your readings. You can find it on various lyrics sites. Last year I did an article about this event, if you want more detail.